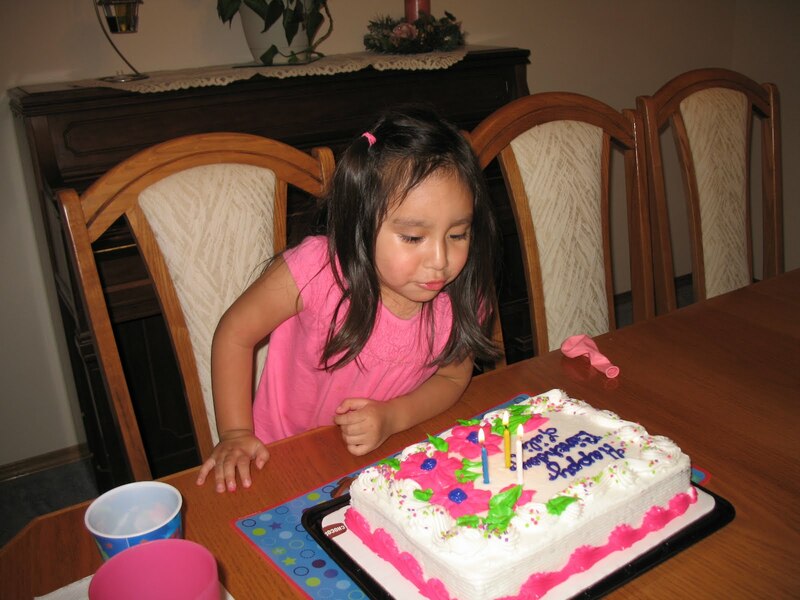 Yes, I realize Lili’s birthday was a week ago, but I did want to share some birthday moments. 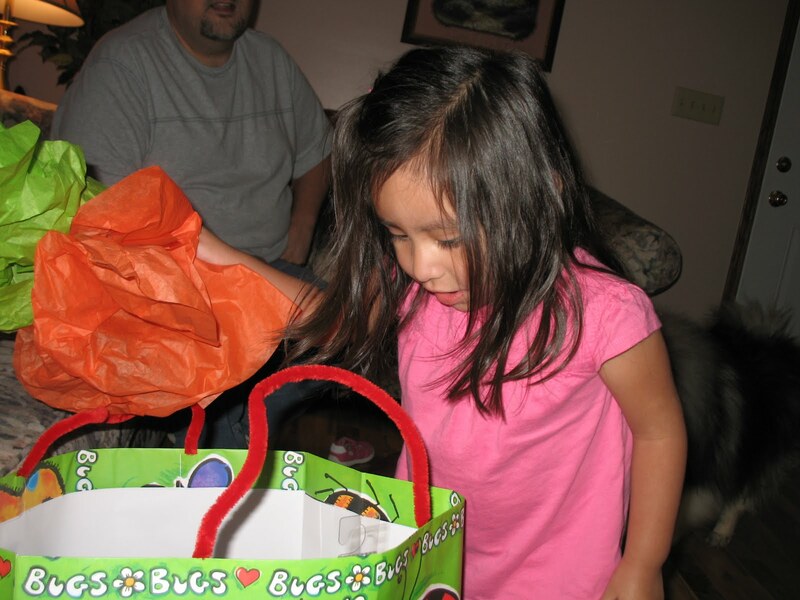 Opening her gift from mommy and daddy. After about two weeks of talking about these two Toy Story characters, they came to life in our home. So to speak. And there was cake with candles. Unfortunately, I couldn’t find a bakery that did Toy Story cakes in our area and I wasn’t feeling up to the challenge, so we settled for an already made bakery cake. Lili didn’t care. She just wanted cake and ice cream. 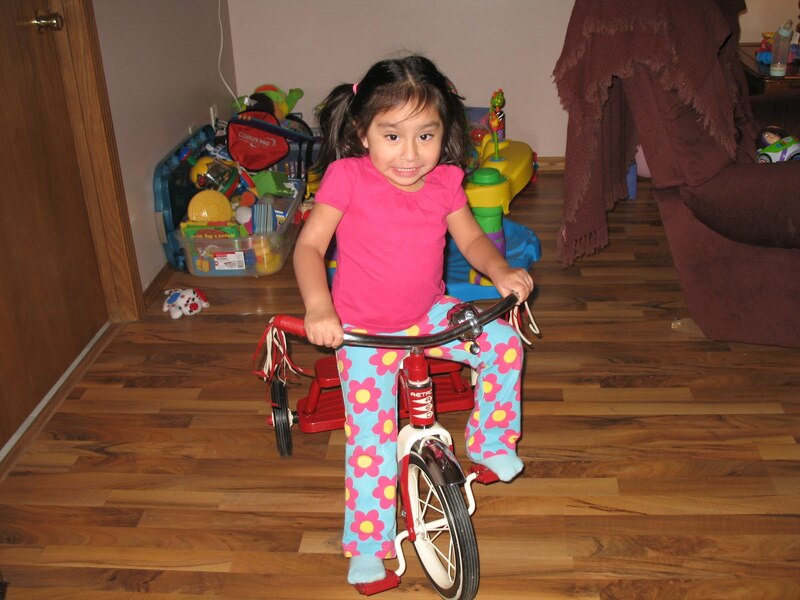 Lili was also very interested in a tricycle she saw at Toys R Us shortly before her birthday. She rode it around the store for several minutes and we were torn on whether or not we should include it as part of her gift. 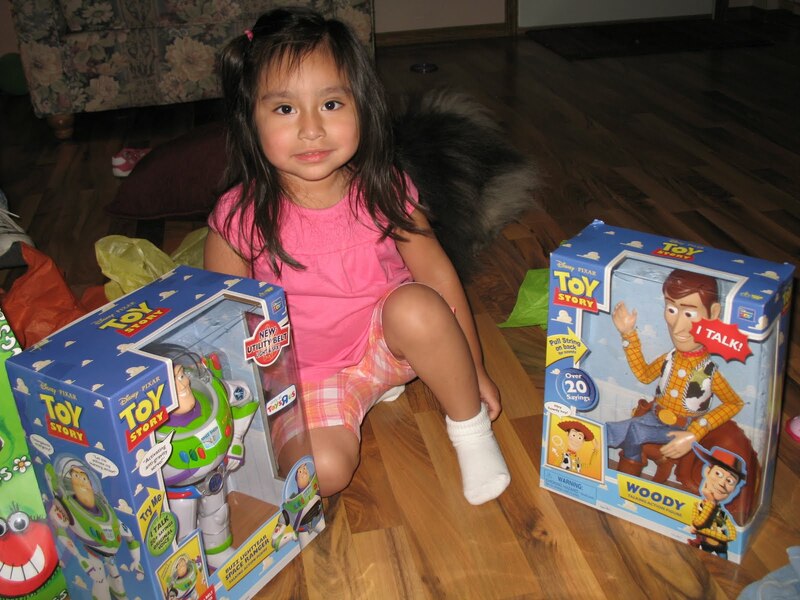 In the end we decided that she had been asking for Buzz Lightyear and Sheriff Woody longer than she had asked for a bike, but her grandparents came through and this was delivered by Grandpa and Aunt Becky a couple days after her birthday. She can go backwards and forwards with ease, but steering is a challenge so far. It won’t take long though and she’ll be riding everywhere in the direction she really wants to go in no time. It also appears that turning 3 brought on a serious growth spurt. Based on the way she had been eating lately, we knew she was growing. Little did I know that the size 3T clothes I bought her a few months ago would soon need to be replaced with 4T sizes. She literally went went from wearing 2T’s to 4T’s in a matter of about 4 months. Wow!!!! So much for spending all that money on size 3 summer clothes 🙂 Good thing we have Naomi to wear them some day. Maybe! Love the pictures. Looks like a happy birthday. Sounds like she is growing like crazy. Joshua is still 2T. Hope you have a great weekend!